For this article I will be focusing on the inquiry question “what are helpful classroom management strategies to assure a STEAM project is a success?”. Classroom management is an important part of STEAM projects because it structures the learning environment. One of the most important classroom management strategies when teaching a STEAM lesson (or others) is setting clear expectations. Setting clear expectations allows students to feel comfortable in their environment while also minimising confusion about what they are supposed to be doing. Expectations should also be visibly posted for student reference throughout the activity. Another classroom management strategy that is important to STEAM projects is constant interaction with students. A teacher cannot simply review expectations, hand out supplies, and then sit at their desk checking emails for the next 40 minutes. For STEAM activities to have the biggest impact on students, the teacher must ask leading questions and offer challenging insights into student projects. Further, teachers must also be around to support students who need extra guidance. Finally, the last classroom management strategy I will be discussing is relationship building. Although this may not sound like a classroom management strategy, it is arguably the most important. When a teacher has a relationship with their students they are better able to assess their needs. For example, if there is an ELL student in the class who cannot write proficiently in English yet, the classroom teacher could place him in a STEAM group with a student who could support him (peer support). By thoughtfully creating STEAM groups, students will be able to create, collaborate, and problem solve at their highest potential. Attached is a video that highlights a STEAM school in Atlanta, GA.
We’ve talked about management already but when you are about to have your own class for the first time I think it is really important that you take some time and think about what type of classroom community you would like to have. All of my research has talked about how important community building is at the beginning of the year so that your students feel safe, at ease, and ready to share their thinking with their peers. 8 STRATEGIES FOR BUILDING CLASSROOM COMMUNITY is a blog post (click on it!) from thinkgrowgiggle.com and is a great starting place to get some ideas of ways you can build community with your students without spending a lot of money on resources. These are things you will want to fit into your routines such as class theme songs, relationship builders, goal setting and communication entered activities. A Classroom Diva has a youTube video discussing her top strategies for building a community in the class which she says is important for good classroom management. Other things discussed are class jobs, collaboration and more relationship building. The previous video mentioned a strategy that I have seen in other places called the Morning Meeting. This is a time in the day where the teacher and students can do a check in, shake hands and greet each other and a chance for the teacher to set the tone of the day. Many models include a team building activity (and a chance for the students to move around) and also time to share with each other things that are happening in their lives. Here is a video from Edutopia discussing this technique. Learning at a the Primary Pond Webinar by Alison (specialist and consultant), allowed me to see how to set up and implement literacy centers in my classroom. It also provided me with strategies on grouping students and how to keep the students accountable for the work they are doing. Literacy centers are great in a classroom setting because it allows students to; try out new literacy skills, take part in solo learning and interact with literacy in different ways. 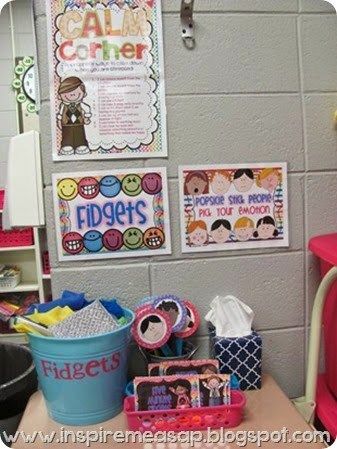 For teachers literacy centers allow time to meet with students both individually and in small group to provide support or introduce new idea/center activities. What centers should be provided? Are the centers going to be fixed (staying in one place) or flexible (can be done anywhere)? What order the centers should be done in, to set the students up for success? How many center rotations should be in each literacy session? How are you going to transition between centers? In Alison’s class she had three rotations every day, each being 15min long. Before the students would start the rotations Alison would have a mini lesson/ review to get the students minds focused on an aspect of literacy*. She would set the timer and when it went off the students would put their hands on their heads and look at the rotation cart to see where they need to go next. Before they go to the next center the teacher would name the students she would like to meet with next , then all the students would rotate. The rotation chard had the students split into groups of 4-6 students, preplanned by the teacher**, each group was assigned to a different station. Students have both a book bin and and a literacy folder that they take to each center, and add to over time. She stresses to only teach one new thing a day so as to not overwhelm the students***. *One recommendation she has is to introduce the new topic/activity in small groups a weeks in advance so that the students get familiar with the ideas before they work with it in larger groups during the mini lesson. This also go for new activity for centers. ** She set up partner groups with one similar skilled partner and one varied skill partner. For example if each number symbolized a student in my class and their level, 11223344, the teacher would put 1133 together and 2244 together so the gap is not to large, allowing some peer support but, not creating dependency on their partners. *** Make a chart to help you see what new center activity you will be introducing. ex. Monday-Woodwork, Tuesday-Independent reading, Wednesday- Reading Responce, Thuursday- Writing, Friday- Partner reading. In this model, it reflects the feedback model in which students can reach their ultimate potential with reflection and constantly moving forward rather than just being assigned a grade and being done with it. Looking at my work so far, how can I keep focusing on answering my inquiry question? What have I done well so far? When I learn something new from a web page or book, do I make a note of where I got my information? Was my voice loud enough for all to hear? Did I speak slowly enough and enunciate so I could be understood? Did I make eye contact with my audience? What more do you wish you could learn about my topic? What’s missing? Some teachers use more of a framework for assessing Genius Hour which I will attach the link. So you want to practice mindfulness – great!! This post focuses on providing resources to help bring mindfulness into your classroom. First off, mindfulschools.org – whether you’re looking for videos, audio, books, or even blog posts, this website has tons of amazing resources to get you started, including their “starter lesson” which you can find here. This website has tons of free resources for practicing and teaching mindfulness and meditation, kindness and compassion, generosity and gratitude, social responsibility and social-emotional skills. That’s right, FREE RESOURCES. Their website also has sections for self-care resources, recommended books and mindfulness training links. Of course, YouTube is a great place to find videos for children of any age, to help practice mindfulness whether that be through mindful breathing or other activities. Here is a link to a guided-relaxation playlist (more geared towards younger primary students) if you’re not yet comfortable leading the class in guided-relaxation/mindfulness. The Free Mindfulness Project has a ton of downloadable resources readily available on their website, although I have not tested all of them so please ensure they are appropriate for your grade level before using! Some of these resources include guided imagery, mindfulness of breath and self-guided mindfulness exercises. Last but not least, Calm. They have just launched The Calm Schools Initiative, and are offering every teacher in the world free access to Calm, their mindfulness app. They want to empower teachers with mindfulness tools and resources by giving us unlimited access to their guided-meditation and mindfulness exercises. There is no catch. All you have to do is go to this link, and fill out a couple questions on the form at the bottom of the page. Easy. 100% would recommend!! Obviously there are a million other resources out there to help practice mindfulness in the classroom. Like I said, these are just a few that I found helpful and will be incorporating into my lessons. I hope you have enjoyed learning about mindfulness with me – stay tuned for my summary of learning. okay.. we’ve touched on it a bit. The kid who just CANNOT do it. The one who totally has a melt down/freak out when something isn’t perfect. The one who’s afraid their phonetic spelling isn’t what we want to see. The one who has SUCH good ideas in their head, but just can’t quite express it. I want to foster that safe space in my class so that students don’t feel that crazy pressure to get it right every single time. I really believe I see potential in my class, and the way that my sponsor teacher asks the students to “use inventive spelling” is really cool. They still are wary of it, but once they bring their work to me or the teacher and get recognition for it- they feel more confident. Now, in my last post I did touch on false growth mindset, which essentially is encouraging the wrong spelling often and not facilitating correction at some point. Here’s what my class has that I think is super helpful. We do Words Their Way and one whole wall in the room is dedicated to be a word wall. Every letter of the alphabet is up there, some had sight words under them, too. It’s really cool to be able to say to students ‘have a look around the room for words that have 5 letters in it, or words that start with the letter B…’. They have a table group game they play where the groups to find the word clues given get points (they all get points… just so you know!). My class loves this because they’re super energetic and the movement around the rooms is so great for them. It also facilitates them actively seeking words out and spelling them in their note pads. My supervisor noticed that while I was giving my lesson, I dropped a few words the kids might not know. I think ‘obscure’ was one of them. Anyways, he suggested that i adopt a practise to write those words on the board for students to see/know how to spell. Perhaps make a collection of new words on the board and every day spend time going over them at the end of the day. I thought it was a fun idea because then they get used to seeing new words, and maybe even adopt them into their own oral language (or even written!). One of my students came up to me during my lesson on Favourite Place and showed me his inventive spelling. He definitely used inventive spelling for the word (I think it was ‘hiking in the mountains’), and I asked what he wrote. Once he told me, I notcied how accurate his inventive spelling was- and i commended him on it. Here’s my question: when or how can we switch from inventive spelling to getting it right? Back to the I CAN’T. Another student was having trouble with a spelling assessment. I said the word out loud, he was to write it down. He second guessed himself every time. every time! I noticed that he often got the sound-letter right the first time, then said it outloud himself, asked me, and scribbled it out when he second guessed himself. Then he would say ‘no, it was an E’ and change it yet again. He was getting to the freak out stage soon. I think it was a sign that growth mindset it lacking in my class. and it doesn’t seem like it will be an easy fix, for sure. I wanted to share this video with you all, and I intend to share it with my class and have a conversation one day with them about how we can move past I CANT to I CAN TRY! What does “mindful space” mean? Why should I have one in my classroom? What if I don’t have enough space? These were just a few of the questions I had when looking at how to create a mindful space in the classroom. What I realized is that students might need time to manage their feelings at school – I know that being in a group context can be overwhelming for me, so why would it be any different for my students. Processing those feelings is important, even as adults; 5-10 minutes (or even less) can do wonders for level of participation. Despite what some students may think, a mindful space isn’t a space they can go to escape learning; it’s a space that allows them to check in with themselves and experience a break before returning to the group. I believe that it is very important to have a positive outlet for students who might need a break. 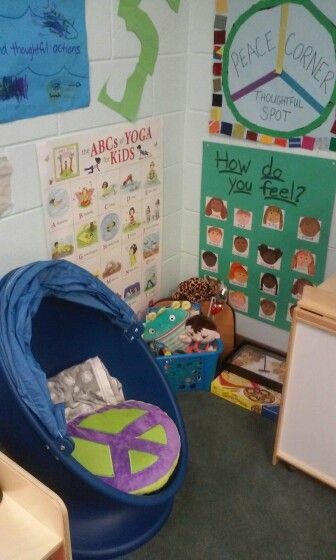 This space should support self-regulation and encourage students to recognize, accept and understand their feelings. 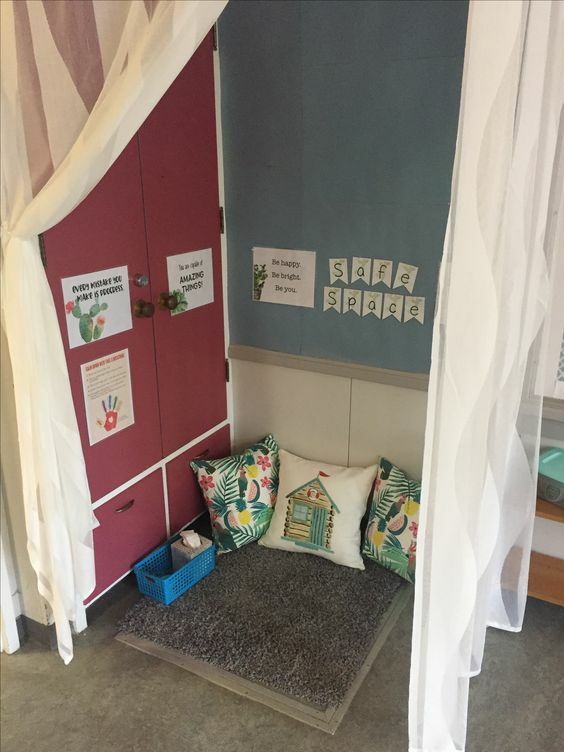 These mindful spaces don’t have to be anything fancy – it could even be a desk somewhere in your classroom – but I do believe that there should be a safe space for any student to go to calm themselves down if they need to. Of course you would go over expectations for this space with students at the beginning of the year (and throughout if needed). Despite possible difficulty in the beginning, having this space would be beneficial for everyone in the classroom. How would you incorporate a mindful space into your room?